A driveway or an entrance that is well-maintained can add value to your home if you decide to sell your property. After all, your home’s entrance is the first thing that a visitor will notice on arrival. However, besides adding to the beauty of your home, the entrance path is also a functional aspect of the house. If you have gravel, you know the little pebbles can hit your car and damage the paint. Also, an unpaved entrance path is an invitation to weeds, which can grow wild and overtake the path within a couple of days. Hence, having a high quality driveway is a must for any home. While many people think that constructing an entrance is a DIY project, it is not. It requires skill, expertise and know-how. That is why, whether you are thinking about a new driveway or contemplating upgrades to the existing one, you need a professional contractor to ensure quality work. When the entrance of a house is constructed well, it can last a lifetime. 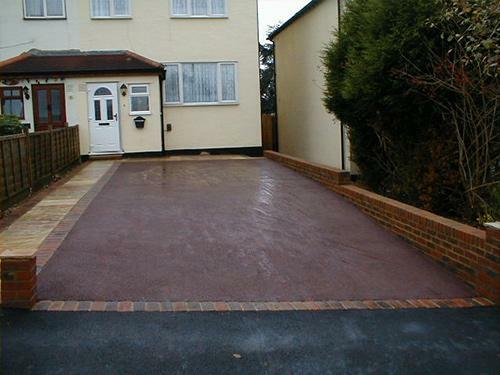 The materials commonly used to make driveways include resin, asphalt and block paving. Resin surfaces are extremely hard-wearing and benefit from being water-proof as well as maintenance free. There are two basic methods of applying a resin based surface – resin bound and resin bonded – and both involve blending specially coloured gravels which are then scattered or hand trowelled to the required surface. If you are looking for aesthetics, asphalt is not the right choice for you. However, if you are looking for a cost-effective measure, it is perfect. The contractor would dig the area, fill it with a Type 1 sub base and lay the required binder course and surface course to make the surface smooth. Block paving requires the construction company to make use of bricks, which are laid manually. Hence, you can opt for different designs, as the bricks come in a variety of materials and colours. One of the advantages of this construction process is that it facilitates drainage. As mentioned earlier, constructing an entrance requires skill and knowledge. Companies that specialise in constructing entrances have not just the expertise; they also have the knowledge about the type of material that is best suited for an area. Furthermore, this type of construction requires specialised tools and heavy equipment that these companies have, and will know how to tackle any unforeseen difficulty that may arise during the construction process. In some parts of the world, such as the UK, this type of construction needs to conform to local council regulations, and most professional companies have this knowledge and information. Perhaps, one of the main benefits of using a specialist is being assured of quality materials. Whether you opt for tarmacking or shingle, you can rest assured that the firm you have hired will use high quality materials. It is important to note that good quality does not always have to be expensive. You can choose the materials based on your budget, whether you want your driveway to be durable or decorative; and finally the cost of the materials and labour. It goes without saying that the materials used for building an entrance will obviously be different from driveways that are used as decorative garden paths. When the entrance of a house is constructed in an appropriate manner using the right materials, they can have a lifespan of anywhere from 20 years to 30 years. So, the right way to construct driveways is to go with a professional, who will not only know what type of materials to use, but also have the knowledge to do the job right the first time round. Here at UK Surfacings we specialise in a wide range of driveway installations, ensuring whatever your individual requirements, tastes and budget we will have the perfect surfacing solution for you. Simply give our friendly, highly experienced team a call today for more information.